I am easily sold on places to eat, and when Stella’s Diner in Lakeview followed me on Twitter this week, I felt I would repay the compliment by stopping off for a bite to eat. I have to say that it really is a quite a quirky place inside, nice art work on the walls and a real bright homely feel and welcome inside. The menu gave me the opportunity for my best tagline of the month with a sandwich named ‘Weird Harold’, not sure why it is named thus, but I had to try one after I had read the name and also once I read what was in it. 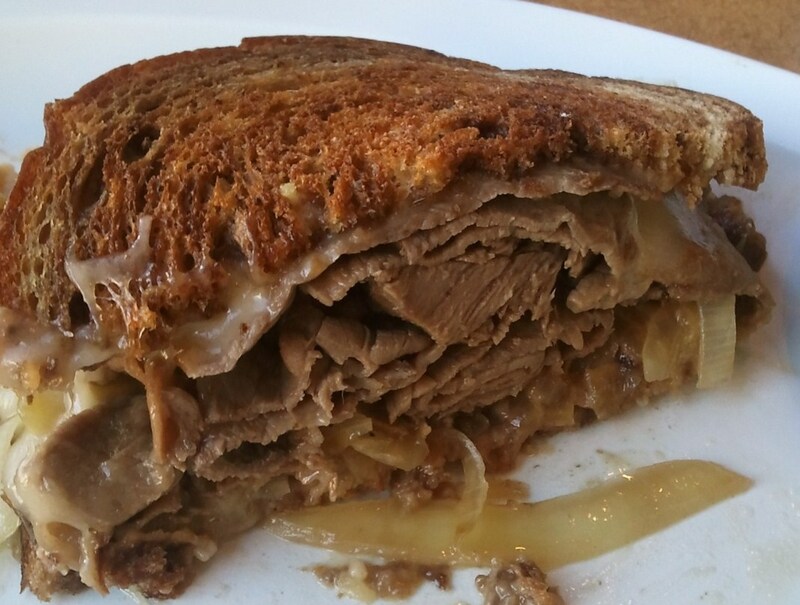 The Weird Harold is a grilled marbled rye sandwich filled with roast beef, muenster cheese and grilled onions. You could get it with number of side options including fries but I took the opportunity to get my hands on some comforting macaroni cheese. I often say that I have had a truly great sandwich and I am aways telling the truth even if I seem to be lucky enough to get some really good sandwiches nearly all the time. I think that either I am really good chooser, the sandwich gods are smiling on me, or maybe I am really easy to please. This ‘Weird Harold’ is up there on my list. Where shall I start? Firstly the bread, I am starting to really get into marble rye, I think that it is the caraway seeds that I like the best, every so often you get a hint of anise flavour as you bite into the bread and get a seed. Next the beef, it is tender, moist and plentiful, really hits the spot. Then the Muenster cheese provides a juicy layer between the upper layer of bread where it melts into the toasted rye. Finally on the base of the sandwich is a layer of grilled onions, which are a little tasty sweet delight. 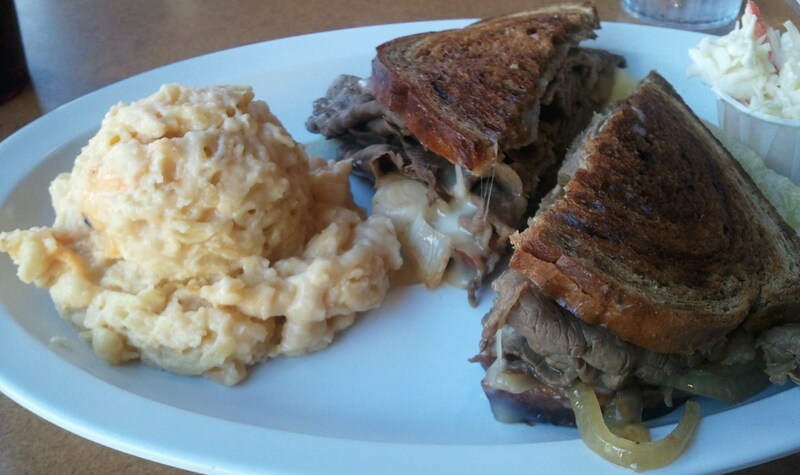 This sandwich was almost too big and it did defeat me as I left just a small piece of it and the mac and cheese. I like to think that was out of politeness as opposed to a failure on my behalf. 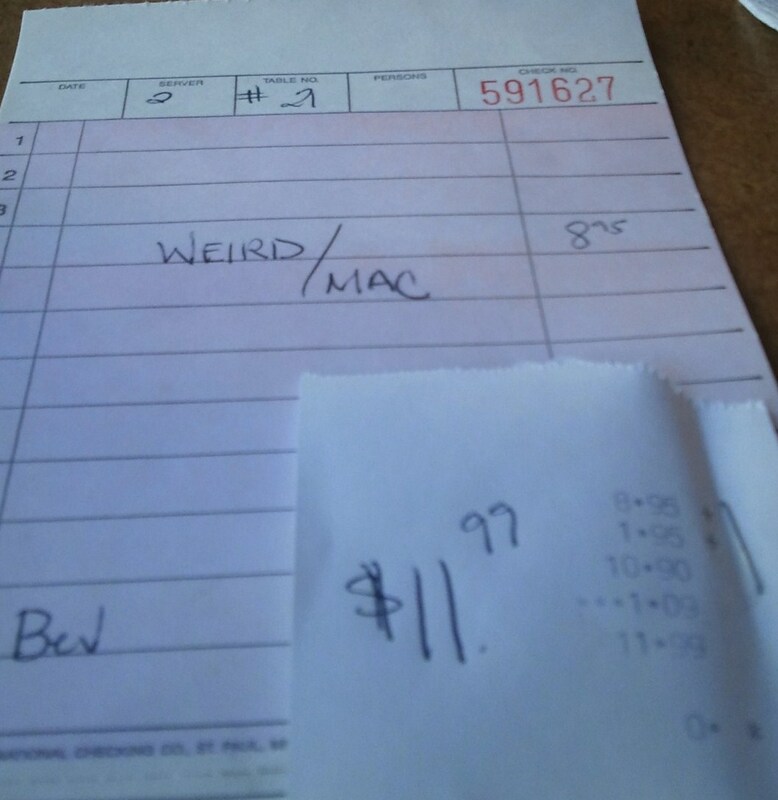 I chuckled when the check arrived with a simple yet apt description “Weird/Mac” I hope that was a reference to the food and not a description of the customer, I wasn’t wearing a coat so I think it was the food. 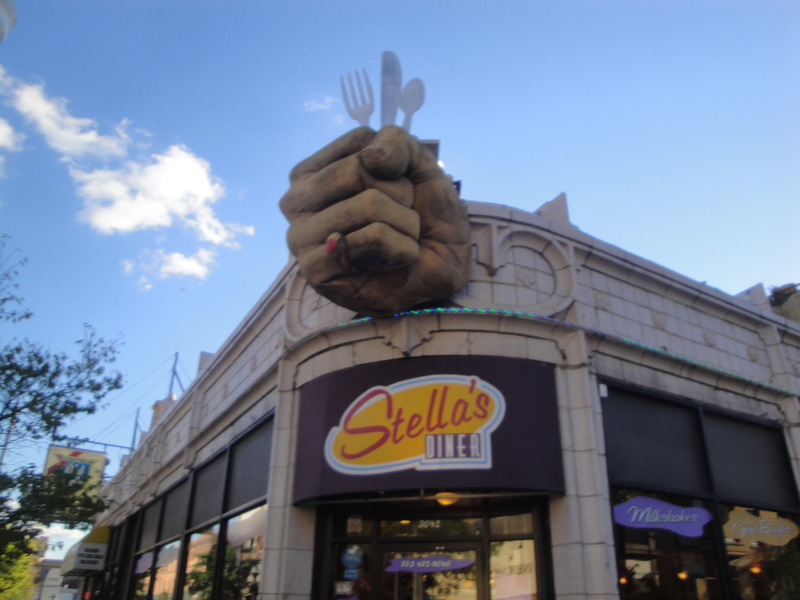 Stella’s Diner is at 3042 North Broadway in Lakeview, pretty much equal distance between the Belmont El station and the Wellington Station on the Brown line. You can view their menu at http://stellasdiner.com/ and you can find them on Twitter @stellasdiner. It is well worth popping over there, I might pop back for some breakfast at some point, but there are so many places and so little time. But try them out it is a good diner and has a really huge selection. Next Post The Golden Angel – just how much food does one man need?